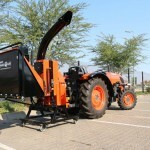 Kubota tractors, distributed in Southern Africa by Smith Power Equipment (SPE), and Bearcat wood-chippers have become the perfect partners in the clearing of invader plants. 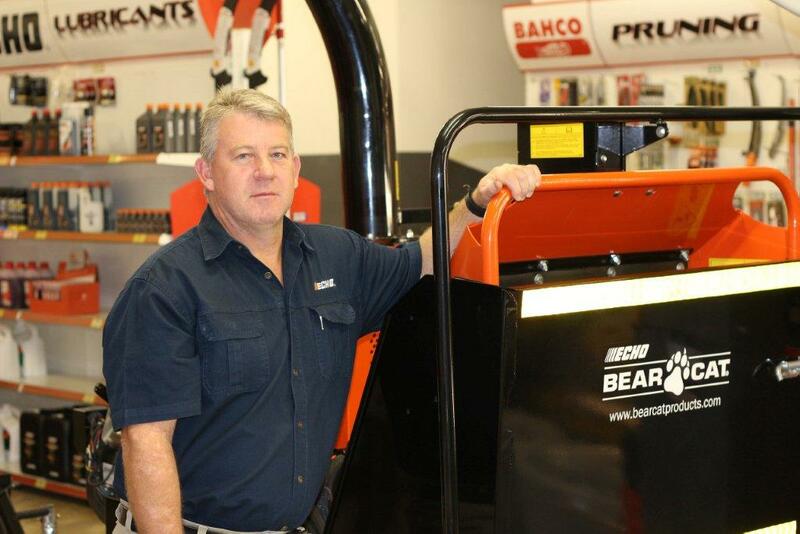 This is according to Dries Cronje of Anro Safaris who says that his Bearcat CH5540 PTO chipper with his Kubota tractor as power source have saved him time and money as a result of their incomparable productivity. 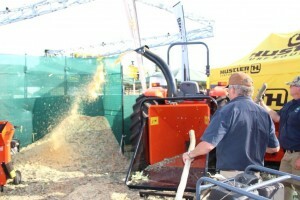 “I am delighted with the performance of both machines,” says Cronje. 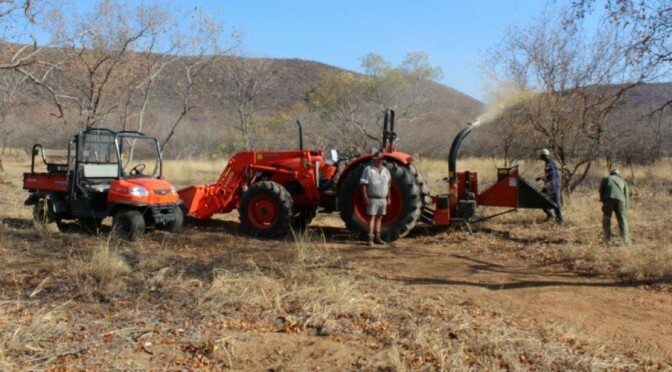 “The Kubota is tough and reliable and the Bearcat chipper easily performs the extremely important task on our game farm of chipping the Sekelbos, a thorny, dangerous invader bush,” he says. The two principal Bearcat chippers available in South Africa are the CH 5540 25-45 HP with hydraulic feed and the CH9540 36-60 HP with hydraulic and auto-feed system. 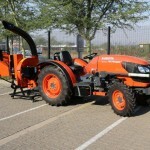 The Kubota tractors that best suit these are the B2420 (24HP), the L3200 (32HP), the L4100 (41HP), the L5040 (52HP), the M7040 (71HP) and, of course, the tractor that Cronje has, the M8540 (75HP). “They are constructed of very solid steel and are perhaps best known for their extremely well balanced solid steel chipper disk and heat-treated reversible cutting blades. 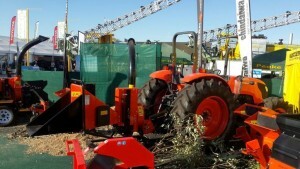 In addition, we have the largest selection of PTO models to fit the widest variety of tractors,” he says. TRAVEL AND PTO POWER – the shafts that supply power to the wheels – PTO, Bi-speed and 4×4 – all have their own wet multi disc clutch packs. This allows for independent selection of all systems on the move. P T O SYSTEM – the small operating lever is just under the steering column and is completely independent of the gear system. The separate multi disc wet clutch pack is unusually free of any snatching action due to the flow control of the operating pressure and the overrun braking system. 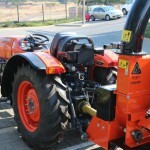 This is an important feature for PTO operation. This article was publushed in the Landscape SA Sept-Oct 2015.